Lightweight, yet durable, these boots are 100% waterproof and have cleated outsoles for traction and slip resistance in wet and muddy conditions. Tiny, self-insulating air bubbles trapped inside the walls of the boot will keep your feet warmer in the cold and cooler in the heat. Easy to put on and with a wrap-around heel kick for hands free removal, these anti-fatigue boots are great for everything from walking to school, having fun with friends, or doing chores around the house or farm. Wear a slush boot when slopping around in concrete that is guaranteed not to "blow out" on the job! Users say TREDS last 6-8 times longer than cheap imports. 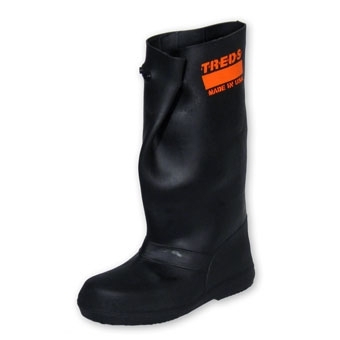 TREDS are the most puncture and tear resistant slush boots in the world because TREDS are molded from nature’s strongest elastic material… latex natural rubber. 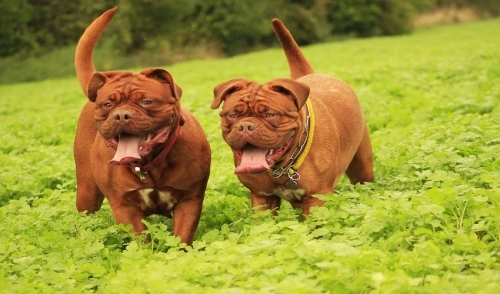 You will be surprised and pleased how easily TREDS pull on and off and how comfortable they feel! The world’s toughest jobs deserve the world’s strongest boots… TREDS. 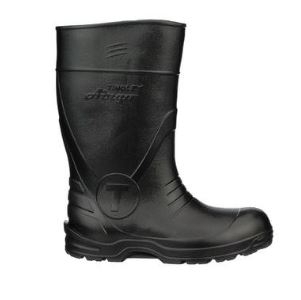 TREDS Over the Shoe Boots are the most comfortable, durable and economical over the shoe boots available. TREDS are designed to fit and pull on/off easily. So snug fitting and lightweight you forget your wearing them. TREDS won't Blow Out on the job If punctured or torn, the tear will not run and is repairable. Heels are reinforced to last longer. With a Unilast design, there is no left or right boot. This means never having to throw a pair away when only one boot is damaged. The world's toughest jobs deserve the worlds toughest boots, TREDS.